August is the perfect month to mark your calendar. The First Day of Autumn is Monday September 22, 2008 Called the Autumnal Equinox, when the Day and Night are the same length of time. This is the perfect target date for completing your Fall Cleanup. I would like to be the Realtor you recommend whenever you hear of someone who needs to buy or sell property. Feel free to call anytime, 610-889-5509 direct, 610-651-2700 office, ask for Judy Peterson, to learn more about my Real Estate Buyer, Seller and Relocation Services. You will receive my best special services together with Prudential Fox Roach Devon Home Marketing Center. Through my membership with the National Association of Realtors® and their partnership with Lowe’s, you may find my Lowe’s Discount helpful to you when you’re ready to do your Fall “House Homework”. Local Buyer and Seller Clients may request my Lowe’s Design Newsletter updates. The popular HGTV is also a good resource for decorating and maintenance ideas. 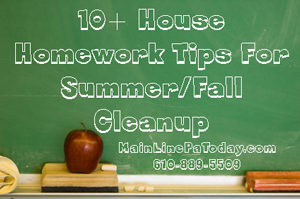 And don’t forget those special landscaping tips that provide great curb appeal when you sprinkle Fall mums, ornamental cabbage, grasses or a Fall Wreath at the door; special touches that will take you through to Winter creating that loved and cared for look that appeals so much to Buyers and helps to get your Main Line Pa Chester County area house sold. Request my Custom Pre-Listing Property Walk Through Evaluation, Contact or call 610-889-5509. This entry was posted on Monday, August 4th, 2008 at 8:01 pm	and is filed under Chester County, Home Buyers, Home Sellers. You can follow any responses to this entry through the RSS 2.0 feed. You can leave a response, or trackback from your own site.